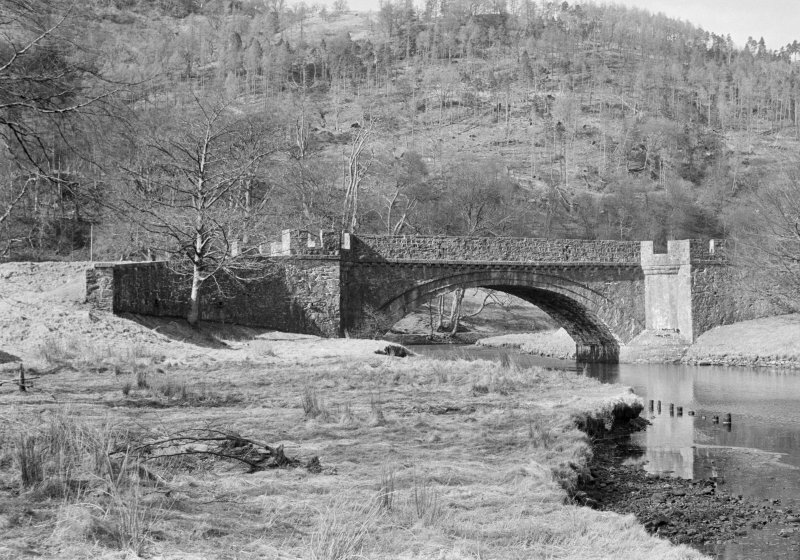 Oblique aerial view of Inveraray Castle Dubh Loch Bridge, taken from the SSE. Oblique aerial view of Inveraray Castle Dubh Loch Bridge, taken from the NNE. Descheduled: formerly scheduled as Dubh Loch Bridge. Information from Historic Scotland, Certificate of Exclusion from Schedule dated 20 January 2004. This bridge carries the estate road up Glen Shira across the Gearr Abhainn at the S end of the Dubh Loch. Information from RCAHMS (RJCM), 11 June 2004. 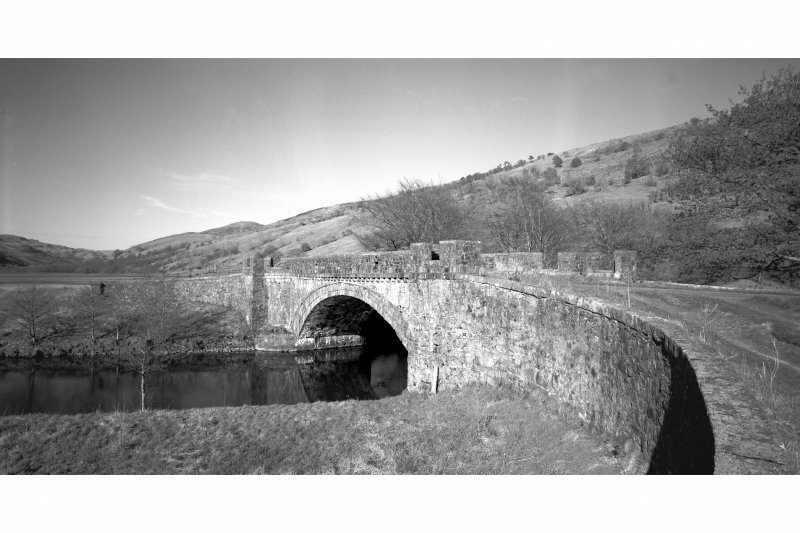 This bridge was designed by Robert Mylne and erected in 1785 by J. Tavish. This bridge, which gives access to the E side of Glen Shira, spans the tidal Gearr Abhainn ('short river') about 150m downstream of the Dubh Loch and a short distance above the ford that gave it the Gaelic name, Drochaid Athnanlann (‘Bridge of the ford of the sword'). Before the construction of the Garron Bridge (No. 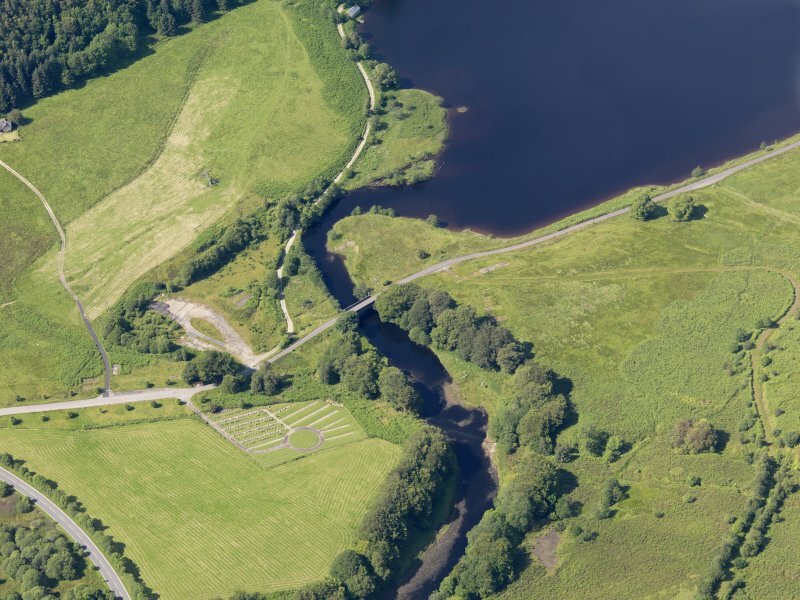 268) in 1747-9, this ford linked Inveraray to the NW shore of upper Loch Fyne, and it was approached by a beech avenue of 17th-century origin, removed early in the 20th-century (see No. 185). 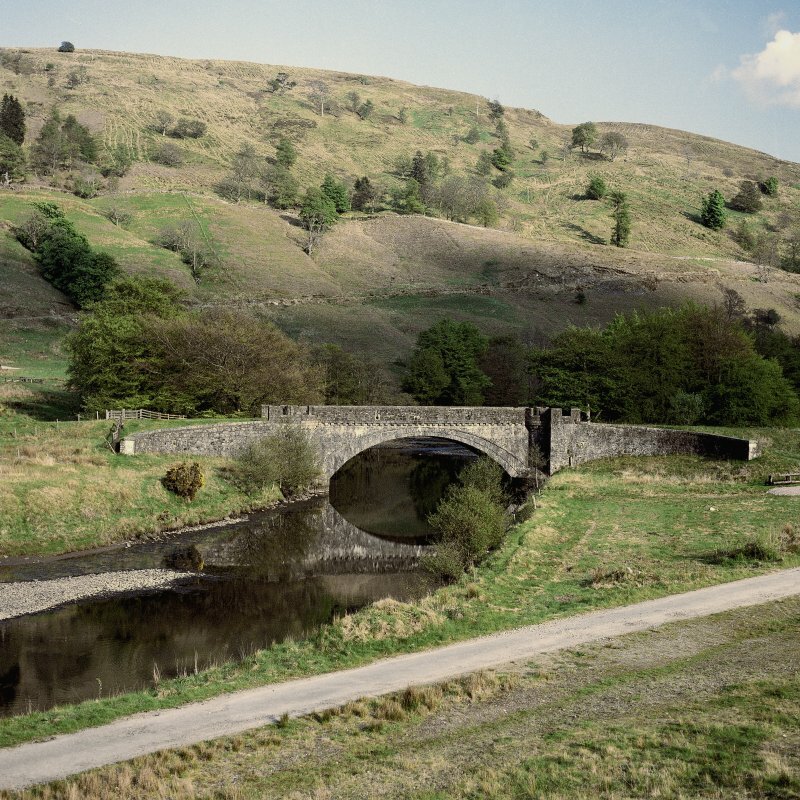 A bridge was first proposed in 1756, but it was only in 1783 that Robert Mylne prepared a specification and drawings for the existing bridge, and an estimate of £312 10s by the mason John Tavish was accepted. 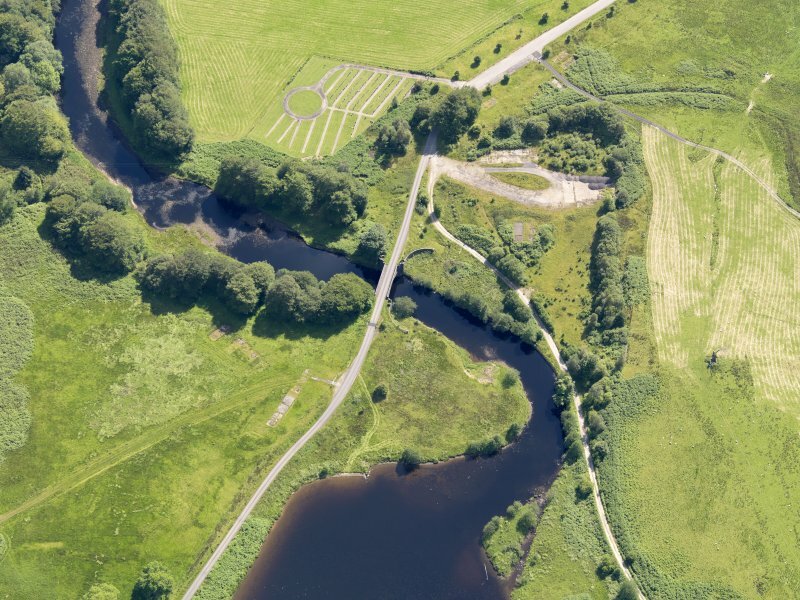 The contract was signed in August 1785, and Mylne inspected the site several times in the following month, marking out the position of the approach-ramps, while work was completed in 1787 (en.1*). The bridge is 8.2m high and 30m in length, but quadrant 'flank walls' revetting the earthen approaches extend it by12.5m at each end. The level roadway is 5.8m wide within 0.35m parapets. The segmental arch has a span of 18.3m (60feet) and a height of 5.lm, and comprises two orders of voussoirs within a hood-mould of shallower segmental curve. The masonry is of random rubble, but the voussoirs and hood-mould are of chlorite-schist ashlar, whereas granite is used for the projecting corbelled band at the base of the parapet, which is continued as a slab coping above the flanking quadrant-walls. 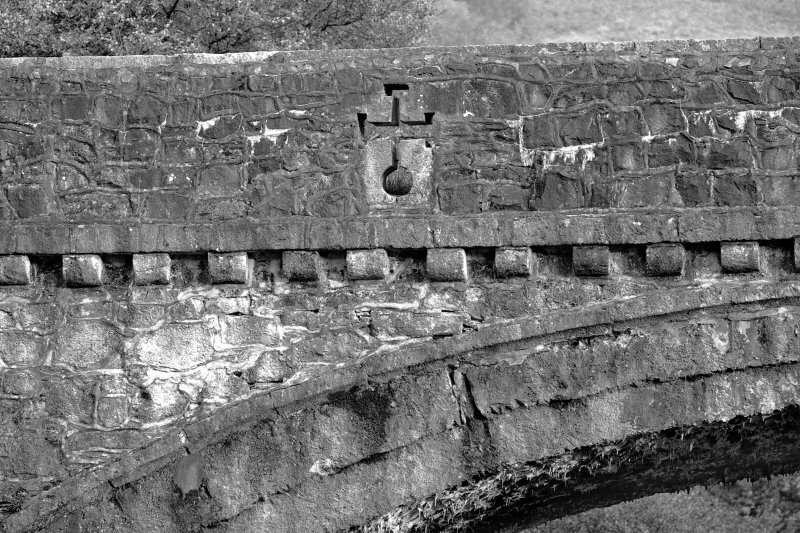 The arch springs from rounded abutments with sloped copings, surmounted by refuges of quarter-round plan in the angles between the bridge and its wider approaches. 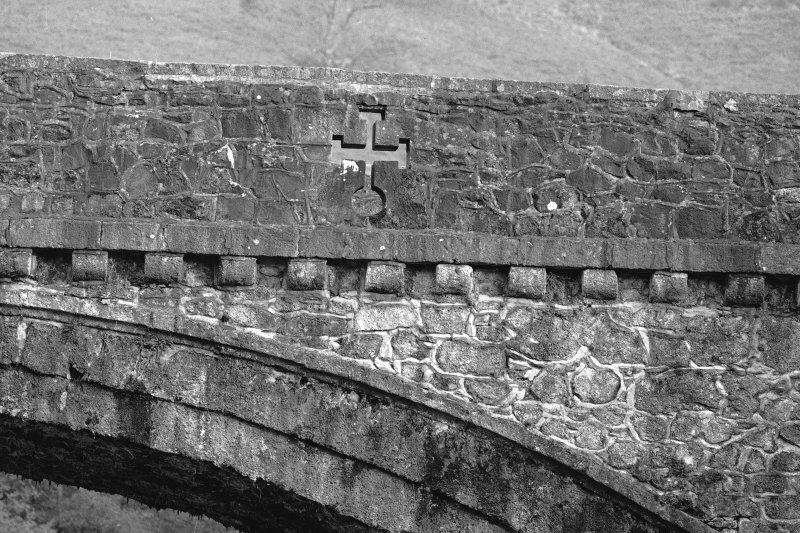 The parapets of these refuges are crenellated, and their curved sections are carried on two courses of continuous corbelling, whereas the main parapets of the bridge rest on close-set plain corbels and each parapet incorporates two crosslets with circular lower limbs, composed of blocks of granite and schist. Mylne's drawings show proposed gateways at the junction of the bridge and its approaches, each having a central wall 5.3m high with a moulded cornice, containing a tall archway 3m wide and flanked by rectangular slits in the spandrels, and with pedestrian archways at each side. One drawing also shows kennels built against the parapets of both approaches on one side of the bridge, but it is not known whether these were constructed. This attractive architecturally designed bridge has a segmental arch of 60 ft span over the Garron with an arch-ring increasing in depth from the keystone to springing from 39–44 in. but with a cosmetically pronounced taper in each facade. This bridge was designed by Robert Mylne and erected in 1785 by J. Tavish.